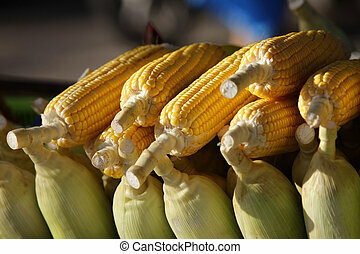 Ears of fresh yellow sweet corn. 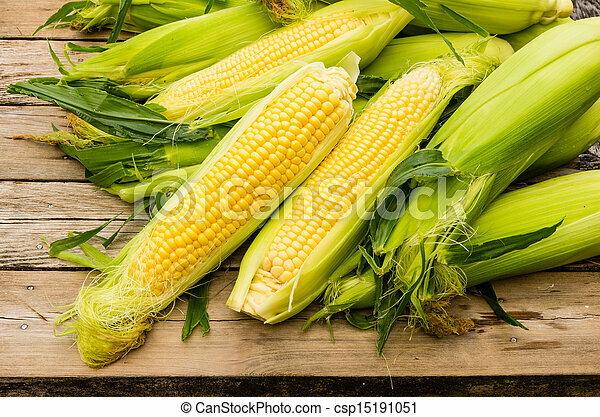 Ears of freshly harvested yellow sweet corn. 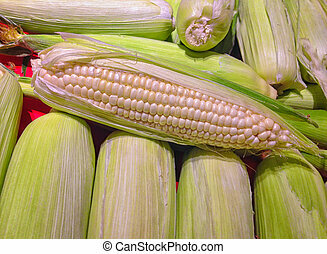 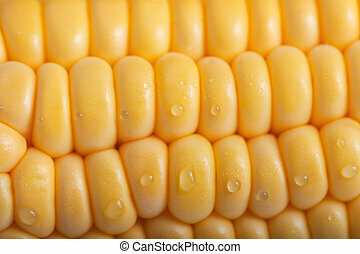 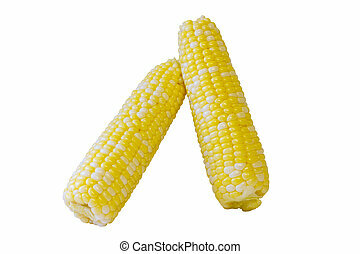 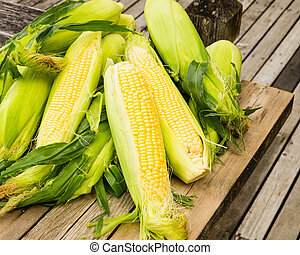 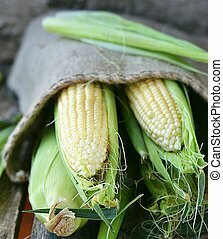 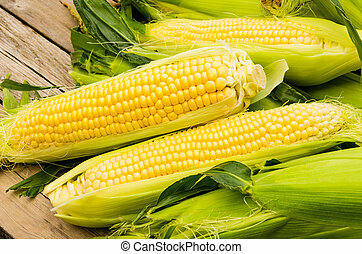 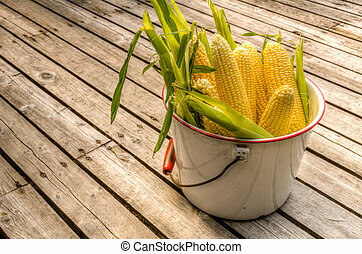 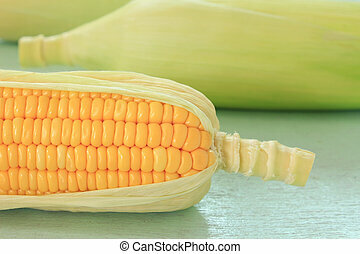 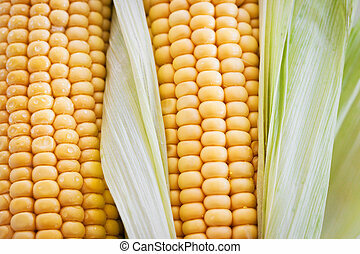 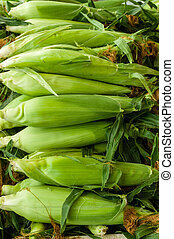 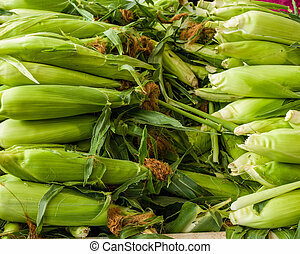 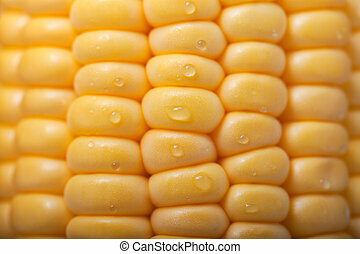 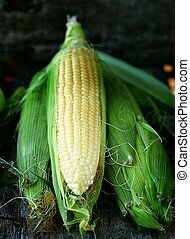 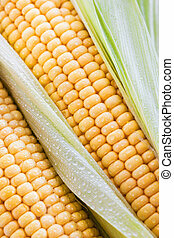 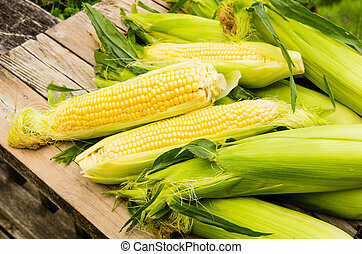 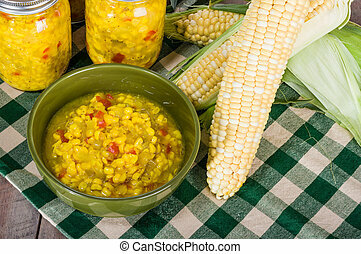 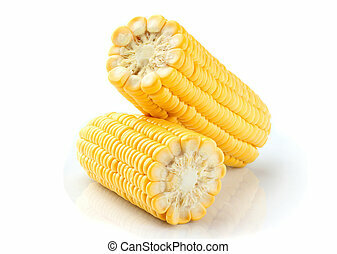 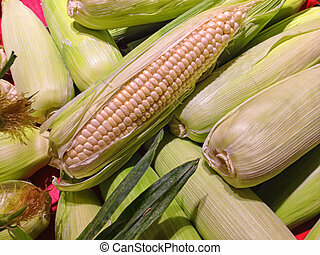 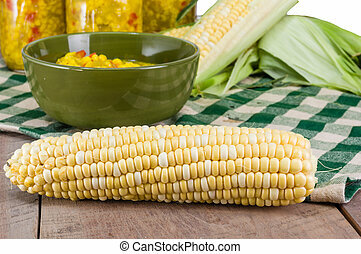 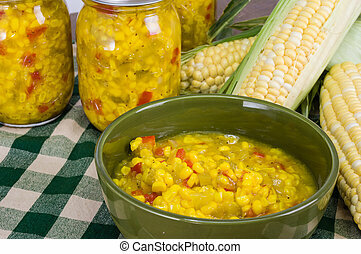 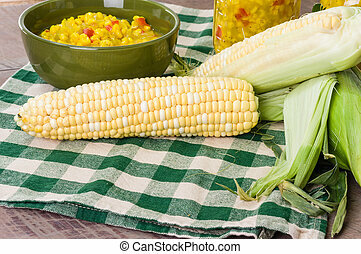 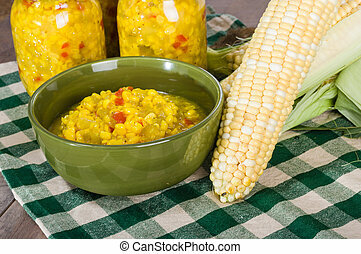 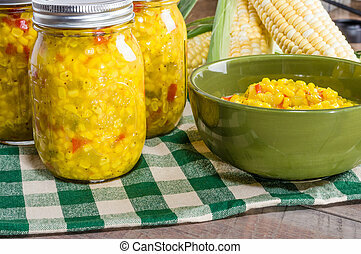 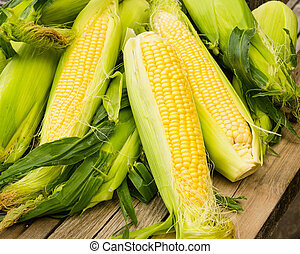 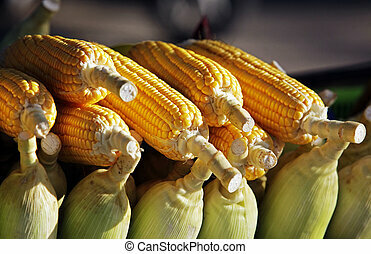 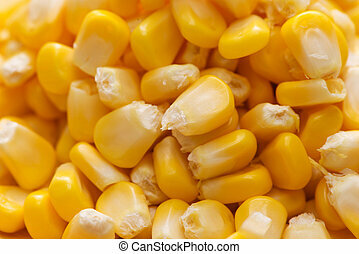 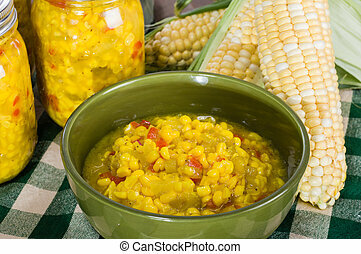 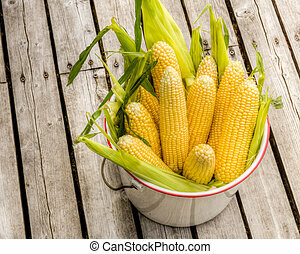 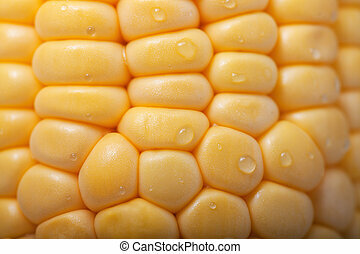 Fresh ears of Sweet corn isolated on white background.